Combine the butter, golden syrup and chocolate in a large microwaveable dish and cook in the microwave for 30 second bursts, stirring in between bursts until perfectly smooth and combined. 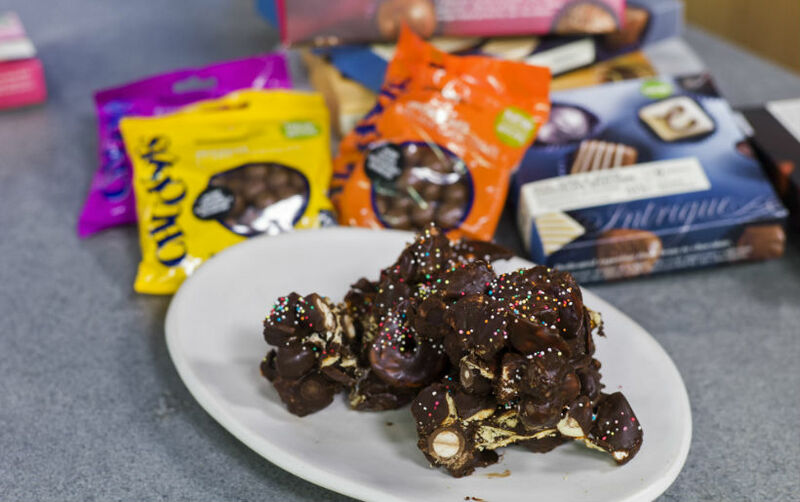 Add the assorted chocolates and chocolate coated nuts with the pretzels and marshmallows to the melted chocolate mix and stir to combine allowing some of the chocolates to melt. Add the mixture to a springform baking tin and place in the fridge to set until firm, about 2 hours.